Fire performance is an outstanding,worth watcing, magical show, a real theatrical production which combines elements of pyrotechnical special effects, fireworks, stage performance and, of course, the fire-show itself. This breathtaking enchanting spectacle involves acrobats, dancers in colorful individual costumes, amazing choreography, interesting stage design and fascinating music which all together will charm and make your guests freeze and hold their breath waiting for a true miracle. We are glad to plan an unforgettable fire performance in Goa for you and your guests without distinction of type of the planning event. Our group of fire performers will develop and present you their unforgettable show which will remain in your memories forever. 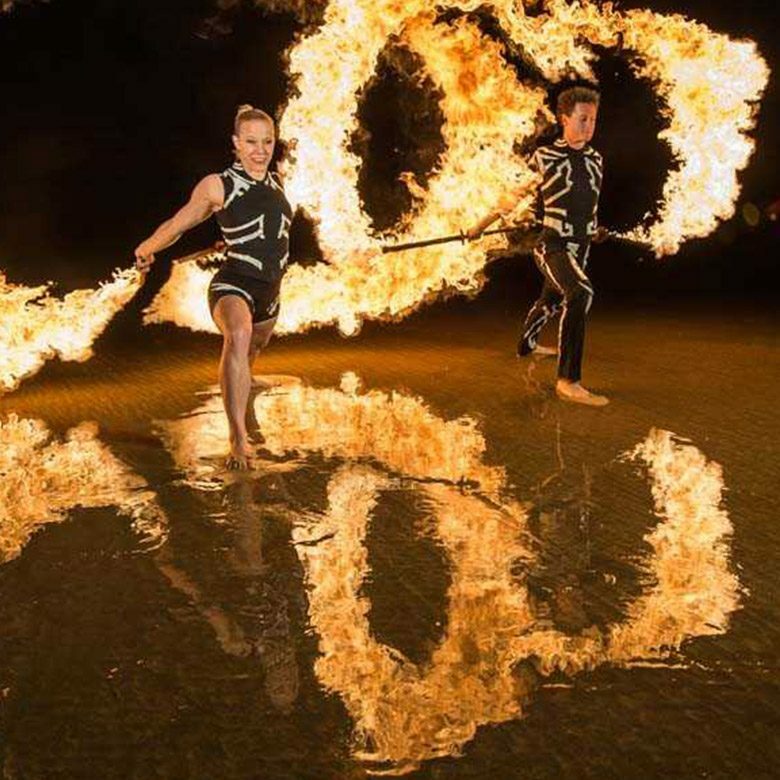 We are expertise in different fire shows organization and our team of experts and surely much talented fire performers will grace, vary and ginger up any special day whether it is a birthday, wedding or anniversary, corporate or business dinner after-party, New Year Eve’s or Christmas party, Prom night or some festival. We organize professional presentation with colorful performance and carefully picked background music. we also present romantic and unusual fire performers image. We have one of the Best performers in Goa. Our prices are affordable and plan variety of programs. We provide group (synchronous) and solo performances with various fire and pyrotechnic equipment,tailor-made costumes designed especially for performance, different special effects, unique decorations (indoor or outdoor party stage are decorated with fire cups and burning torches), photoshoot with fire performers(optional).